The use of chemotherapy in terminally-ill cancer patients in the last months of life is associated with increased risk of undergoing resuscitation and dying in an intensive care unit, suggests a paper published on bmj.com today. The researchers suggest that end-of-life discussions may be particularly important for patients receiving chemotherapy and suggest that caregivers should ensure that patients are aware of their prognosis, likely outcomes of treatment and that their choices are aligned with their end-of-life values. Chemotherapy is used to treat cancer with the goal of reducing symptoms and improving survival. 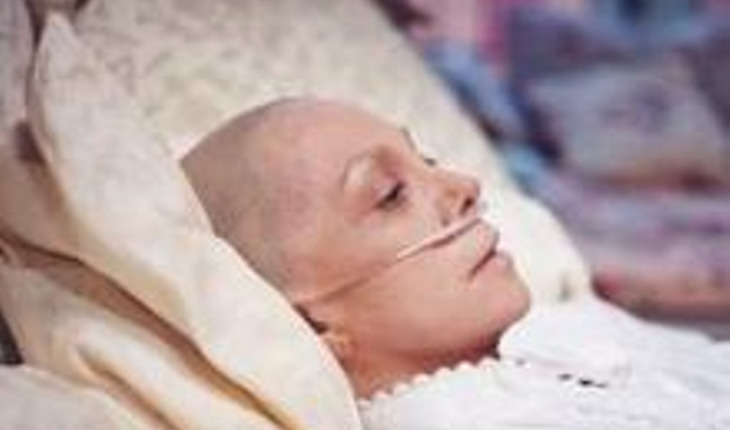 Between 20-50% of patients with incurable cancers undergo chemotherapy within 30 days of death. Research suggests that the use of chemotherapy within two weeks of death is associated with higher rates of hospitalisation but only 6% of patients receive chemotherapy this late. Other research has not specifically examined whether the use of chemotherapy in the months leading up to a patient's death is associated with the need for intensive medical care in the last week of life or death. Researchers from the US therefore looked to determine whether terminally ill cancer patients who in the months leading up to death were receiving chemotherapy were more likely to receive intensive medical care in the last week of life, and die in an intensive care unit, compared with those who were not. They used data from "Coping with Cancer," a study of terminally ill cancer patients designed to examine how certain factors influence patients' medical care. The report included 386 patients between 2002 and 2008, who died during the course of the study. All participating sites were from across North America. The main outcome of the research was end-of-life treatment and location of death with the second outcome being length of survival, late hospice referrals and attainment of preferred place of death. In the cohort of 386 terminally ill cancer patients, 56% were receiving chemotherapy and were more likely to be younger, married, better educated, have a better overall quality of life and psychological wellbeing compared with those who were not. Patients receiving chemotherapy were also less likely to acknowledge that their illness was terminal and reported having discussed their end-of-life wishes with a physician. They were also less likely to have completed a do-not-resuscitate order. Out of the 216 patients who opted for chemotherapy, 12% needed cardiopulmonary resuscitation or ventilation, 13% needed admitting to an intensive care unit and 11% needed a feeding tube in the last weeks of life. They were also more likely to undergo a late hospice referral. The researchers suggest that chemotherapy is used less among patients who are recognised to have a life expectancy of less than six months as this "may reduce intensive end-of-life care and promote earlier access to hospice services, thus improving the quality of […] care". They say further studies should examine whether patients who are aware that chemotherapy is not intended to cure them still want to receive chemotherapy, confirm the negative outcomes of palliative chemotherapy, and determine if end-of-life discussions promote more informed decision-making and receipt of value-consistent care. In an accompanying editorial, Professor Mike Rabow from the University of California, says that although most patients with metastatic cancer choose to receive chemotherapy, evidence suggests that most do not understand its intent. He says that Prigerson et al's paper suggests the need to "better identify patients who are likely to benefit from chemotherapy near the end of life" and he encourages oncologists to discuss with patients the broader implications of chemotherapy when making decisions about treatment. He adds that the choice to start chemotherapy should not be the end of decision making and that future work should "explore how a decision to start chemotherapy, even many months before death, comes to be associated with how and where someone dies".